Next week, I will be at Gen Con. On August 14 – 17, I will staff my table on Author’s Avenue (table AA) whenever the Dealer Hall is open. I will have copies of all five of my novels, as well as a limited number of copies of Sojourn: An Anthology of Speculative Fiction. I also still have copies of the Gen Con Exclusive Omnibus Edition of The Foundation of Drak-Anor (21 copies to be exact). Once these book are gone, I’m not going to print more! The Foundation of Drak-Anor collects Wings of Twilight and Iron Fist of the Oroqs into a single volume. I will also have free Galactic Confederation Junior Ranger patches for everyone who buys a Zack Jackson novel! One thing I will be doing at Gen Con is free giveaways. That’s right; you can get a copy of Wings of Twilight for free, if you’re lucky… Watch my twitter feed (@hccummings or @jedisoth) or the hashtag #GenCon for giveaway times. I’m only giving away one book per day, and you’ll need to speak the secret passphrase to get a chance to roll my four Vesuvian Lava Fate dice (yes, they’re really carved out of lava from Mt. Vesuvius). If you beat my roll, you win a book! Four plusses wins the hardcover Omnibus edition (subject to availability–a tie means we throw out that roll and roll again) and earns another lucky person a chance to win Wings of Twilight. If I’m going to sell and sign books at a gaming convention, I may as well make a game out of it, right? 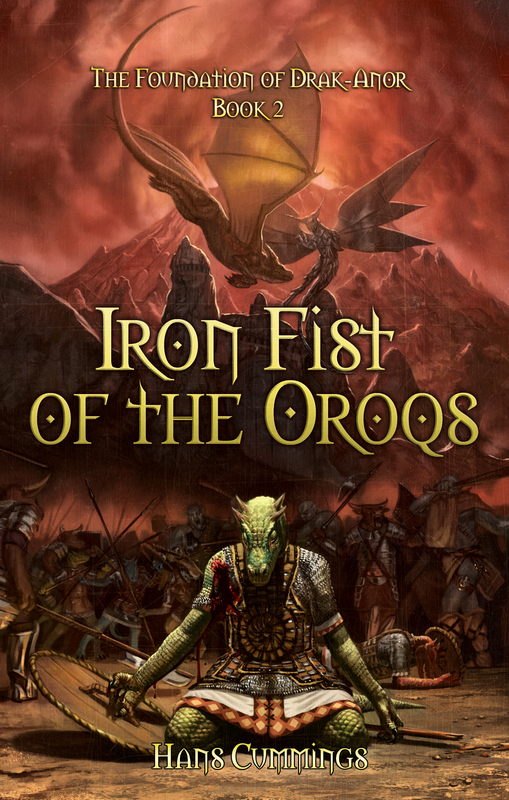 The period of Kindle exclusivity on Wings of Twilight and Iron Fist of the Oroqs ends on Saturday. Beginning Sunday (or Monday, depending on how long it takes the files to process through the system), you’ll be able to purchase both novels in The Foundation of Drak-Anor series on Smashwords, DriveThruFiction, and possibly Kobo Writing Life. I’m still looking into ways to get my novels into the iBookstore without buying an Apple PC. On Sunday, March 3rd, Kindle exclusivity ends for Zack Jackson & The Cult of Athos and you’ll be able to find that novel in the aforementioned stores. As always, print versions are available through Amazon & CreateSpace. I will be attending Gen Con this year with a table on Author’s Avenue. I’ll be there to sell and sign books when ever the Dealer Hall is open (with a few hour-long exceptions). If you plan to attend, stop by and say “Hi!” There’s a possibility that I might have a con-exclusive hardcover edition compilation of The Foundation of Drak-Anor available for sale there, too, depending on how the pricing shakes out. More news on that later. As a celebration of the holiday season, combined with a belated 1st Anniversary, for the next five days, I’m giving away the Kindle version of Wings of Twilight ABSOLUTELY FREE! If you haven’t taken the opportunity to buy the debut novel in The Foundation of Drak-Anor duology, now is the time! I have placed Wings of Twilight and Iron Fist of the Oroqs on sale in the Kindle store for $0.99! This sale will last through the month of December. I have also made both of them Kindle exclusive*, so you can also borrow them for free if you’re a Kindle Prime member. I will also be appearing on a podcast sometime this month to talk about my books and other topics of interest. I’ll have a more specific announcement once the episode drops. * If you have already purchased Wings of Twilight from Smashwords, you will still be able to download your book, you just won’t be able to buy new copies through them for now. I haven’t sold any copies of it anywhere except Amazon for 9 months, so I figured Amazon exclusivity wouldn’t really cost me any money. 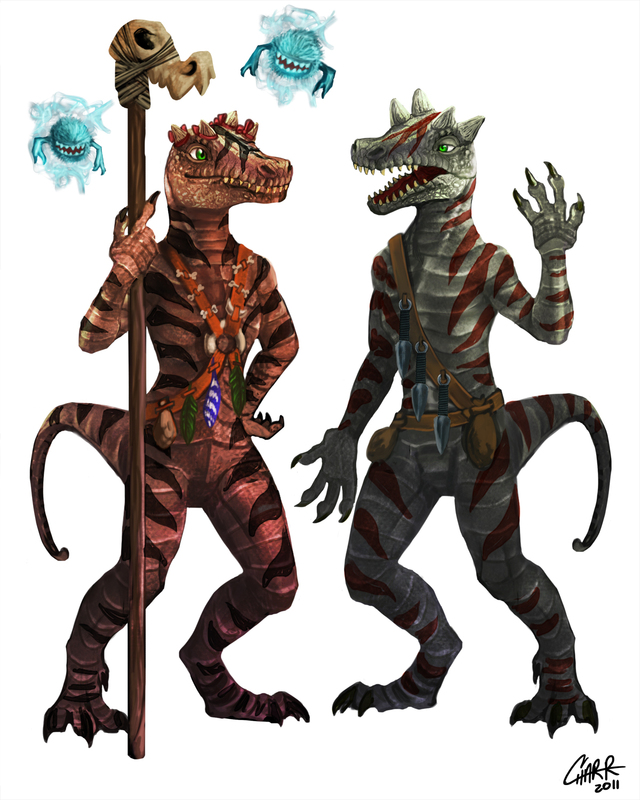 Wings of Twilight – Redux! OK, so the book itself isn’t changing. That would be silly. 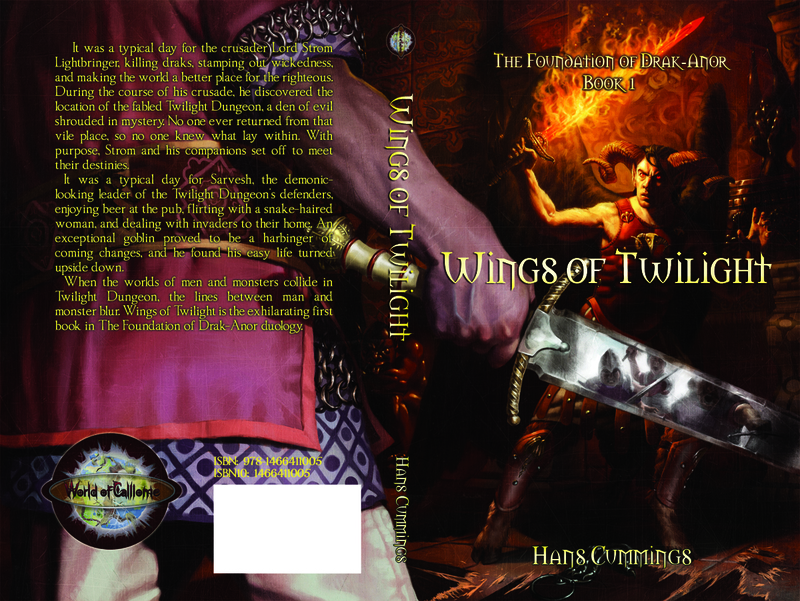 But, since it now has a sequel, I decided the covers should match in style so that it’s obvious by looking at them that Wings of Twilight and Iron Fist of the Oroqs are related. 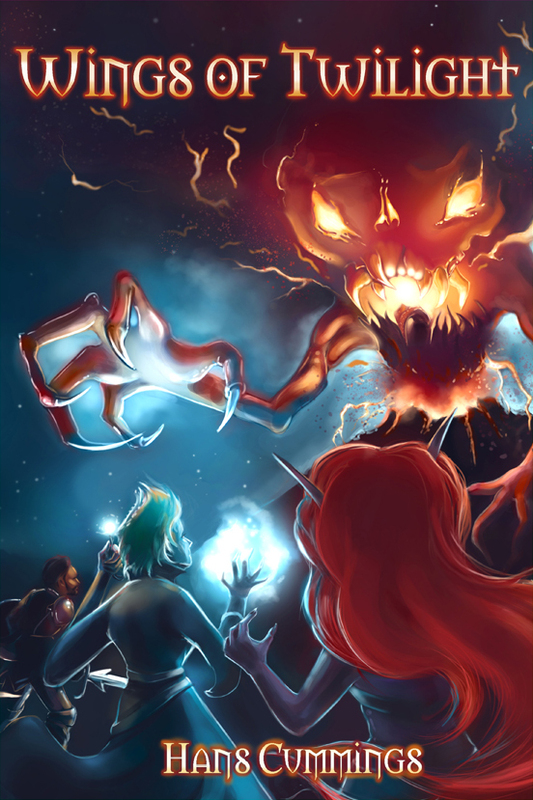 I commissioned all new art from Jason Rainville and have redesigned the cover from scratch. I invite you to comment upon it in the comments. I may tweak it a bit here and there yet. I expect it to go live this week. Those of you with Kindle versions will get the new cover automatically. Those of you with the Rowena Aitken cover in print, well, maybe I’ll because famous enough one day that they’ll have value as “First Editions”. Otherwise, it’s an interesting bit of history. Now, for the record, I think Rowena did a great job on Wings of Twilight‘s original cover. But, this new cover make it much easier to tell that the two books are part of the same series. If I ever do an omnibus edition, I’ll put all the art in the book, though that might make the print edition prohibitively expensive unless I do a Kickstarter or something, but that’s years away. Wings of Twilight is now available in print from Amazon.com! Of course, you can still buy it directly from CreateSpace. It’s still filtering through the distribution network, so if you’re holding out to support Barnes & Noble or something, you’ll have to wait a little longer (6 – 8 weeks by my best information, so check back after Christmas). I now have an Author’s Page at Amazon! 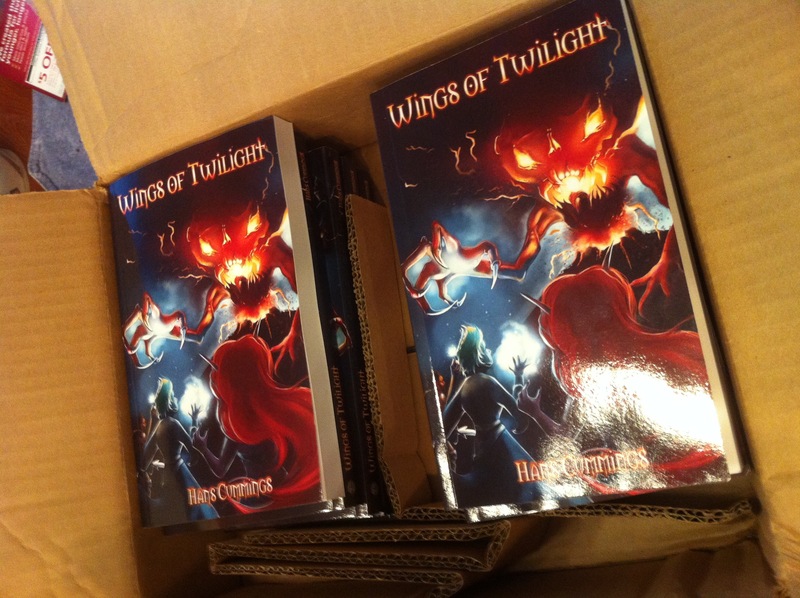 Technically, Wings of Twilight is now available in print. It hasn’t made its way through the distribution channels yet, so the BIG ANNOUNCEMENT won’t occur for a bit. But, if you’re champing at the bit to get it, you can buy it now through CreateSpace. Wings of Twilight Now Available! Wings of Twilight is here! The fantastic cover is by Rowena Aitken. Starting today, you can purchase it at Amazon.com for your Kindle for $2.99. Don’t have a Kindle? No problem! It’s available for other e-readers at Smashwords.com. iBooks and print editions are forthcoming!